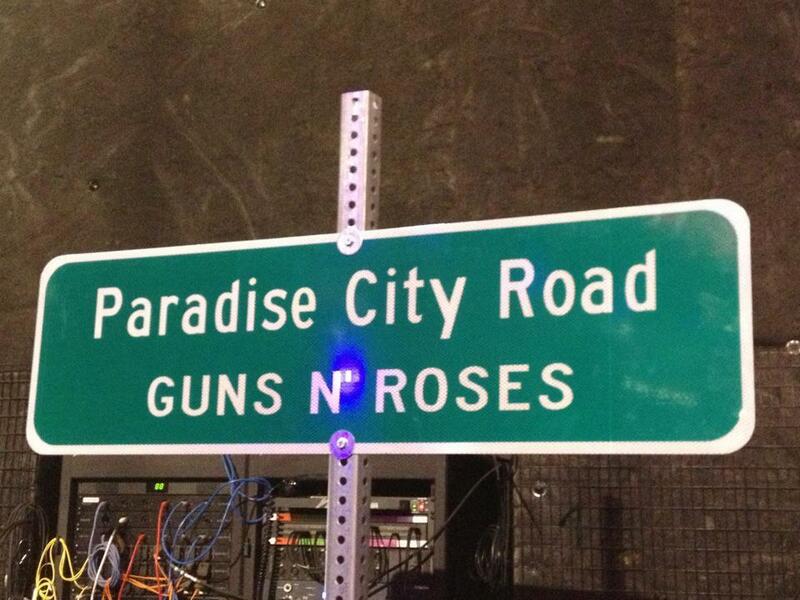 Less than a day after Las Vegas officials renamed a street in honor of Guns N’ Roses’ first-ever residency, “Appetite For Democracy,” at The Joint at the Hard Rock Hotel and Casino, a local commissioner says she regrets the decision. 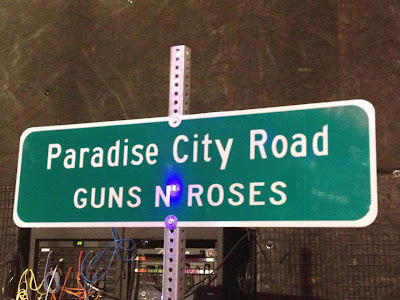 The Las Vegas Sun reports Clark County commissioner Mary Beth Scow, who represented the county at the ceremony, said she regrets the commission’s move to temporarily rename Paradise Road to Paradise City Road to promote Guns N’ Roses concerts because an ad for the iconic group’s concerts depicts what appears to be a sexually assaulted woman beneath the “Welcome to Las Vegas” sign. 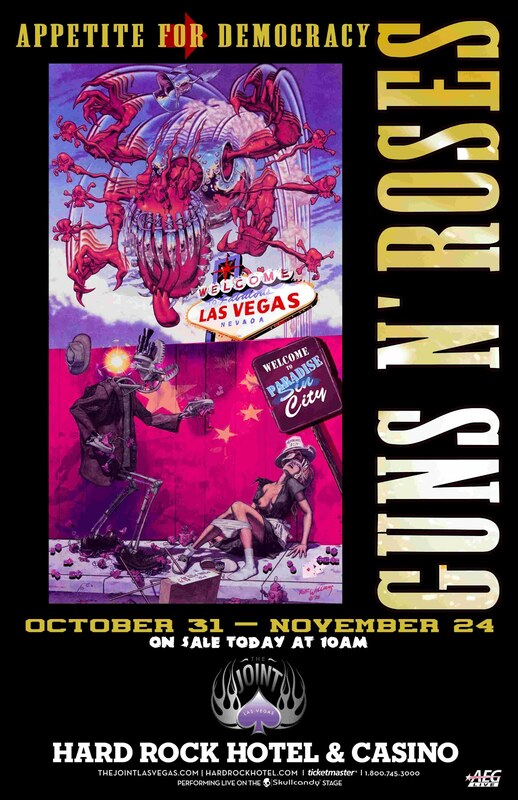 Scow said she was unaware of the ad promoting the concert that the county was throwing its support behind. 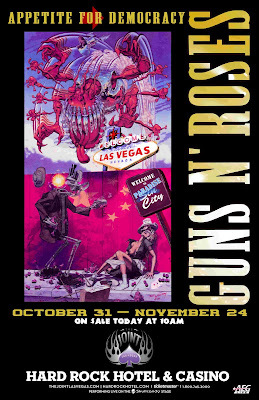 Read more at the Las Vegas Sun here.